A 15 day 14 night passion Vietnam representative tour visiting all the major cities and famous sites. This itinerary can be used as a starting point and altered or extended to suite your requirements. Breakfast. 08:00 Departure to the ancient ceramic village Bat Trang, about 12 km to the north-west of Hanoi, on the edge of the red river, renowned for centuries for its products in traditional porcelain with blue decorations. Arrive at Bat Trang at around 08:45. Visit a teapot factory where you can learn the ceramic production process. Enjoy drinking some tea served into the teapot made by this factory and admire their collection in a very beautiful bonsai garden house. Walking along the ceramic alley, you can stop in the workshops specialized for vases and decor. Then, visit the house of one of the most famous pottery artists of Vietnam, where you will have the opportunity to admire his precious artwork that made this house become the first family ceramic museum of Vietnam. After that, visit the porcelain market where you can see thousands of authentic products and you can do some shopping. Continue discovering the ancient village of Bat Trang by traveling through narrow lanes, with many workshops and family temples. You will also visit the old town hall dedicated to the Genius Protector of the village (Dinh Lang). Have lunch in an old colonial house in the village (or in a restaurant, as your other choice). Return to the center of Hanoi. The afternoon is dedicated to the discovery of the cultural capital of Vietnam, visiting the mausoleum of Ho Chi Minh, imposing marble and granite monument which takes the form of a stylized lotus, built from 1973 to 1975 thanks to the voluntary work of young pioneers (the tour takes place outside the mausoleum). Orientation tour to West lake. Then continue to visit the temple of Literature dedicated to Confucius, built in 1070 and soon after became the seat of the first Vietnamese university. Stroll in the old authentic area of the “36 old streets” in the late afternoon. In the evening you can attend a performance of your choice which depends on their schedules (Water puppet, Golden Bell, Ionah, Four Palaces, My Village). Dinner on your own. Overnight at hotel. Breakfast at hotel. 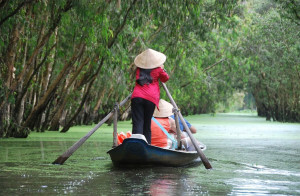 08.00: depart Hanoi for Ninh Binh province and enjoy the drive through the luxurious vegetation of the Red River Delta. 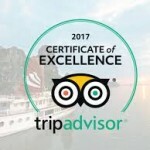 Continue on to Tam Coc and take a cruise up the river through hills and rice fields on a traditional boat, a photographer’s paradise. It is also referred to as ‘Halong Bay on land’, for its beauty surpasses that of it’s coastal rival. Enjoy lunch at a local restaurant. Continue your tour with a journey through bustling villages, rice paddies and beautiful limestone rock formations. We arrive at Hoa Lu, the capital of Vietnam for 41 years under the Dinh and Le dynasties (between 968 and 980), to discover beautiful shrines dedicated to the Emperor Le Dinh, the first ruler to unify the country. Aside from this important historical site, this region is also worth a visit for its rolling hills and picturesque rocky landscapes. 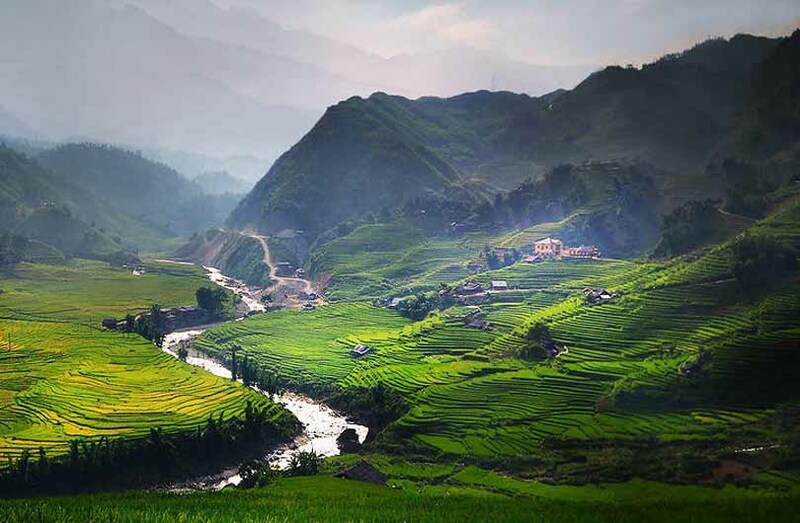 Return to Hanoi for your next destination by train to Lao Cai . Dinner on your own. Overnight on the train (air-conditioned sleeper car, compartment 4 people to share). At around 05.30, arrive in Lao Cai, a small border town by the Red river. My guide will meet you at the exit gate, and take you to a local restaurant in Lao Cai for breakfast. Then you will leave for Bac Ha (70 km) via a winding road with breath-taking mountain views. Visit Bac Ha fair (on Sunday only), considered the liveliest and crowded in the region. It attracts a large number of Flower H’mong and other hill-tribe groups (Nung, Phu La, Tay). It is no doubt one of the most attractive places for photo hunters in Vietnam. Lunch at local restaurant. Then, back to Lao Cai and continue an interesting trip to Sapa (38 km). Nestling on Fansipan mount, Sapa offers spectacular scenery and is home to different hill-tribes. Dinner on your own. Night at hotel in Sapa. – Can Cau market on Saturday morning. – Coc Ly market on Tuesday morning. – Cao Son market on Wednesday morning. Breakfast at hotel. 08.00 you start the tour from Sapa. Take a short road transfer along the motor way southwards for 4 km with a stop along the way for stunning scenery of Fansipan mountain and Muong Hoa valley. Trekking uphill along a large and rocky path for 2 hours to Hang Da village of the Black H’mong which hides itself under lush trees on high elevation of the Den Thang Mountain. Explore the village, paying visiting to local families. Lunch break in the village. 8:00 Start a short walk (3 km) downhill through beautiful orchid gardens and pine forests. You will reach the village of Suoi Ho, home to H’mong minorities from where you can enjoy views over endless rice paddies. Continue our trek on a trail through rice paddy fields toward Ma Tra village, another village of H’mong minorities. Their house is normally built of land and has no windows because of the cold in the winter. It is possible to stop by a primary school (close at weekend and summer time) for a quick visit. Transfer back to Sapa for lunch. Free time for shopping. Transfer to Hanoi by shared Limousine or by bus (6 hours). Dinner on your own. Overnight at hotel in Hanoi. Breakfast at hotel. 08:00 Depart Hanoi for the world famous Halong Bay, ‘the descending dragon’, a journey of approximately 3.5 hours. Listed as a World Heritage site by UNESCO, Ha Long Bay is a stunning limestone archipelago stretching over some 1500 square kilometers and comprising nearly 2000 islets. You will board our junk for a memorable cruise through the ‘eighth wonder of the world’ gliding gently past fishing communities and hidden cave systems. Lunch. During our time on board, you will visit the ‘Cave of Surprises’, where you can marvel at strangely formed stalactites and stalagmites. After anchoring at a nearby beach you can go for a swim or climb to the top of Titop Island to get a panoramic view of the bay and surrounding islands. Dinner will be served with delicious local seafood onboard, with other options available. Overnight on the junk. Note: Cruise itinerary and schedule are subject to change due to weather and operating conditions. Breakfast on board. After breakfast, continue your journey cruise through the breathtaking scenery of Bai Tu Long Bay. Bunch. After disembarking, transfer to Noi Bai airport for the flight to Hue. On arrival in Hue, transfer to hotel and check in. Dinner on your own. Overnight at hotel in Hue. Breakfast at hotel. 08.00 You will spend a full day to visit Hue, former capital of Vietnam from 1802 to 1945 during the reign of the Nguyen dynasty emperors, declared a world heritage site by UNESCO in 1993. Cruise in a sampan on the Perfume river to Thien Mu pagoda, or pagoda of the Heavenly Lady, a Buddhist shrine dated from the mid-seventeenth century. Located on the banks of the Perfume River, it is easily recognizable by its octagonal tower. Continue your tour with a visit to the Citadel, the seat of the Nguyen Dynasty emperors. The construction began in 1804 under the orders of the first Emperor Gia Long after the carefully selected using principles of geomancy (Feng Shui). The citadel was inspired by Vauban fortifications and is composed of three sections; the Capital city, the Imperial city and the Forbidden City. Lunch at a local restaurant. In the afternoon, visit the Tu Duc’ tomb, which is one of the most impressive of the royal mausoleums. Emperor Tu Duc designed it himself, for use both before and after his death. Finish your day with a visit to Minh Mang’s tomb, located on the left bank of the Perfume River, which represents the perfect harmony between nature and architecture. Dinner on your own. Overnight at hotel in Hue. – Option 1 (extra cost): Royal performance of ancient dancing and music, a world intangible heritage recognized by UNESCO in 2003, is presented in the citadel. Breakfast at hotel. 08:00 Transfer to Hoi An along Highway 1 which links Hanoi to Sai Gon. This drive is reputedly the most beautiful in all Vietnam, taking you past coastal fishing settlements, most notably Lang Co with its stunning lagoon backdrop. The drive also takes you over Hai Van Pass (or ‘pass of the ocean clouds’). Lunch at a local restaurant in Hoian. The afternoon is spent strolling through the narrow streets of this atmospheric old town. This former port, a UNESCO World Heritage site, is full of architectural gems that show a range of influences. Around the seventeenth century Hoi An was one of the busiest ports in South East Asia. Enriched by the proceeds of this trade many merchants constructed beautiful homes. You should start by visiting Japanese bridge, Quan Cong temple, Fujian temple, one of the old houses and the local market. Then , take a boat trip on Thu Bon river. Dinner on your own. Overnight at hotel in Hoi An. Breakfast at hotel. Transfer to the Danang airport for your flight to Sai Gon. Arrive in Saigon, transfer to your hotel. Saigon is not only the most important economic centre in Vietnam, it also has some very imposing colonial architecture which was the center of attention in our fascinating past. Almost a hundred years of French rulers bestowed upon the city with some pearls of colonial architecture. Begin your exploration of this frantic city with lunch at a local restaurant. In the afternoon, visit the central post office, designed by Gustave Eiffel, and the Notre Dame Cathedral, inspired by its counterpart in Paris. Continue your city tour with a visit to District 5, formerly known as Cho Lon or Chinatown. Cho Lon, or ‘big market’, with its congested streets is where most of the city’s ethnic Chinese population lives. The district lives up to its name in the form of Binh Tay wholesale markets. Founded in 1778 the market sells a stunning array of goods and produce, ranging from fish to incense. We will finish our city tour with a stop at the Thien Hau temple, otherwise known as ‘The Temple of the Heavenly Lady’, to marvel at its intricate friezes and coils of incense. Dinner on your own. Overnight at hotel in Saigon. Breakfast at hotel. 08.00 You will be picked up at your hotel. 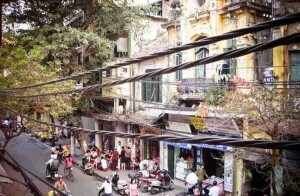 Leave busy Saigon for the tunnels of Cu Chi, where are an immense network of connecting underground tunnels that are located in the Cu Chi district of Saigon, and are part of a much larger network of tunnels that underline much of the country. On our way there we drive through pleasant countryside; rubber plantations and rice paddies. At the Cu Chi tunnels, you will see a short introductory video showing how they were constructed, followed by an exploration of the maze of tunnels, some of which have been widened to allow tourist access. Also on display are various mantraps and the remains of an American tank as well as numerous bomb craters made by 500lb bombs dropped by B52 bombers. After that transfer back to Saigon for lunch. In the afternoon, visit the moved War Remnants museum which presents a partial, but riveting, view of the American war, as it is known in Vietnam and Ben Thanh market for shopping. Dinner on your own. Overnight at hotel in Sai Gon. Breakfast at hotel. 08.00 Transfer to Ben Tre. Arrive at Ben Tre town at about 10:00. 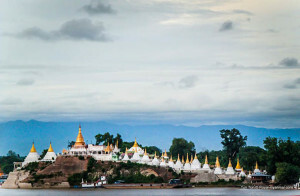 Take a boat trip on Mekong river, sight-seeing local activities on river. You will stop on the way to see how people make bricks, salts, coconut candies in their workshops. Boat will go pass Cai Son and Nhon Thanh creeks to see local families making mats. You’ll continue by taking the pull cart (xe loi) to pass rice fields and vegetable plains. Stop at Mr. Hai Ho ‘s house to learn how to cook local food. Enjoy lunch at a house in the village. In the afternoon, you will take the rowing boat along the water palm creek back to Ben Tre City to head to Can Tho. Dinner on your own. Overnight at hotel in Can Tho. Early breakfast at hotel. 07.00 You will cruise along the small and picturesque tributaries by motorboat to visit the Cai Rang floating market (the nicest one with heaps of rowing boats). You will stop at another village to visit a rice husking mill, and walk around the village to see the beautiful scenery and daily activities of the locals. Have lunch on the way then transfer back to Saigon. Dinner on your own. Overnight at hotel in Saigon. Breakfast at hotel. Free at your own time until your driver meets then transfer you to the airport for your flight home.